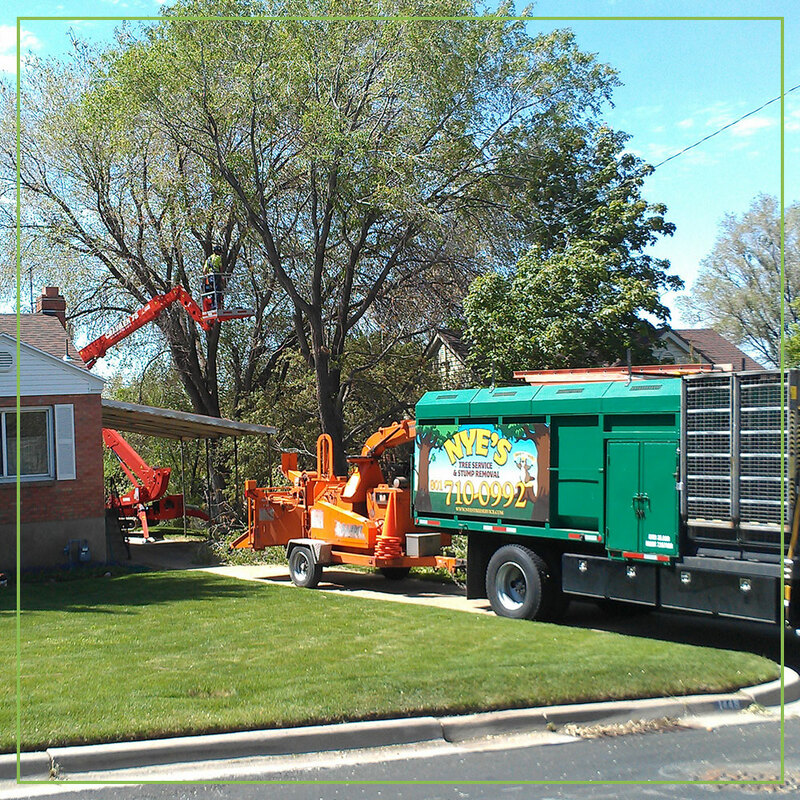 We provide tree cutting in any location around Ogden and Layton with minimal disturbance or damage to your property. We use the best equipment in the industry so we can get your job done right! A tree stump left on your property is a tripping hazard, especially to children, It is a hazardous nuisance in your way, and may devalue your property. Contact Nye’s for stump removal in Ogden or Layton. Pruning is vital to improving the structure and health of your tree. Pruning and tree cutting is great for tree clearance, opening up a space, and avoiding potential hazards. Along with our Ogden and Layton tree cutting and stump removal experts, we can offer you the products and resources needed for successful plant health care in your own Utah landscapes. NYE'S TREE SERVICE - Utah Tree Removal Company. We offer the finest tree services in Davis & Weber County Utah. With over 20+ years of experience in the Ogden and Layton tree cutting and stump removal industry, Nye’s offers competitive prices and remarkable service. We service all of Northern Utah including: Ogden, Layton, Syracuse, Clinton, Bountiful, Salt Lake City and Park City.